Distracted driving is risky behavior and the results of it are clearly on the minds of those in the political realm. 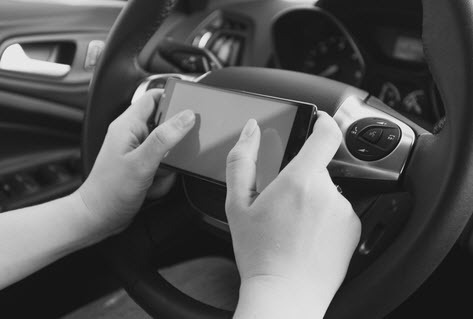 The Palm Beach Post recently reported that what was initially a bill against cellphone use by Florida drivers has been expanded in a way that proponents claim can stop distracted driving altogether. Distracted driving is a known factor in car accidents that result in serious injuries and fatalities. In 2015, 391,000 people were injured in motor vehicle crashes involving distracted drivers according to the National Highway Traffic Safety Administration (NHTSA). NHTSA also reported that distracted driving was responsible for 3,450 deaths the following year in 2016. When you consider the fact that looking away from the road for even two seconds doubles the risk for a crash, it becomes clear why there are so many of these accidents. What is the Difference Between the Original Bill and the Expanded Version? The original bill, House Bill 107, was meant to combat the fact that Florida is one of the very few states in which a driver cannot be pulled over for cell phone use as a primary offense. Currently, a driver can only be cited for cell phone usage when the driver was pulled over for something else and this bill would’ve changed that. The updated bill, Senate Bill 76, proposes to make many other behaviors illegal if a driver attempts them while driving including petting an animal, reading, writing, and putting on makeup in addition to the original proposed ban on cell phone usage. Critics of the updated bill worry about an open-ended clause that would allow authorities to stop a driver for “engaging in any other activity, conduct, task, or action that causes distraction” which they argue is totally subjective and could be applied unequally. Regardless, in contrast to Florida’s current lack of legislation regulating cell phone usage while driving, this bill would be one of the strictest in the nation if passed in its entirety. Did a Distracted Driver’s Negligence Result in Your Personal Injuries? If you or someone close to you has been injured in accident caused by a distracted driver, we can bring the focus to what you have experienced. The Florida attorneys Leifer Law Firm have helped many injured victims of distracted driving accidents pursue the compensation that they deserve during their 25 years of combined experience. Contact us today for help and we can begin helping you hold the responsible parties accountable.